Yew Tee is located at the north-western part of Singapore. This area is a cluster of HDB flats and private condominiums, a large part of its residents are new families and middle-income earners. 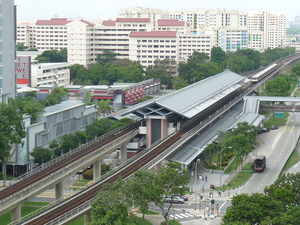 Nearest MRT is Yew Tee MRT station. Yew Tee area is accessible via Woodlands Road. It is also close to Limbang Shopping Centre, Yew Tee Square and Yew Tee Point for a range of amenities such as retail shopping and grocery, eateries, banks and more. Nearby schools in Yew Tee include De La Salle School, Concord Primary School, Chua Chu Kang Secondary School, Bukit Panjang Government High School, Dunearn Secondary School and many more.